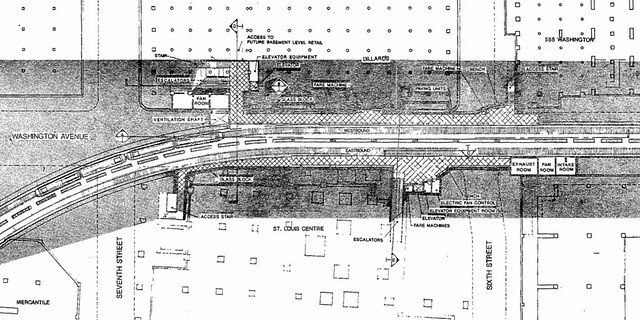 Drawing of the Convention Center MetroLink station from the 1987 Metro Link FEIS. Plans for this station were changed in at least two significant ways prior to construction. First, the direct entrance into the basement level of Dillard’s was removed. Second, the station was moved east slightly so that it would be centered on 6th St and away from the curve in the tracks.